This event is free and so is the food and drink! Space is limited, so grab a ticket. 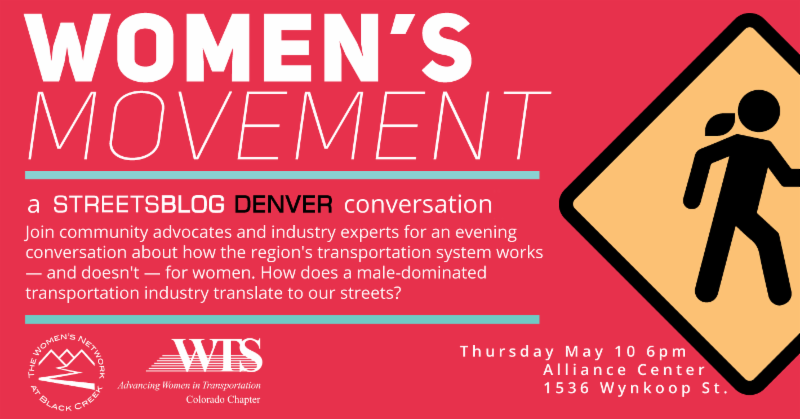 Molly Veldkamp, vice president of the WTS Colorado Chapter, and Streetsblog Denver editor David Sachs will moderate the conversation. To register click here. Learn more about the event here.